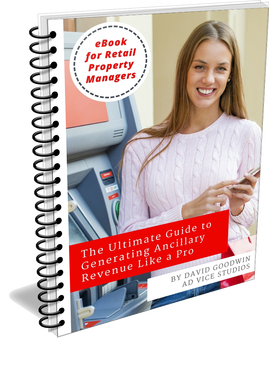 Is Your Shopping Center Producing Ancillary Revenue? Ad Vice Studios interviewed some of the country’s top retail property managers to uncover their favorite ancillary revenue secrets. In this free ebook, we’ve assembled over 20 opportunities that merit a close inspection from shopping center operators who are determined to exceed their revenue goals in 2018.